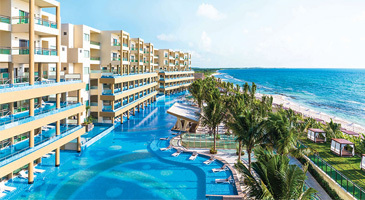 Generations Riviera Maya, by Karisma is Mexico's premiere all suite, all nanny, all butler, beachfront resort. This unique 144-suite hotel stretches along a secluded beach, where families can relax in a vacation that fosters togetherness. Indulge in a Gourmet Inclusive® experience with four restaurants, two bars, a kids club and personal butler service. Generations Riviera Maya, by Karisma has something for everyone to enjoy.